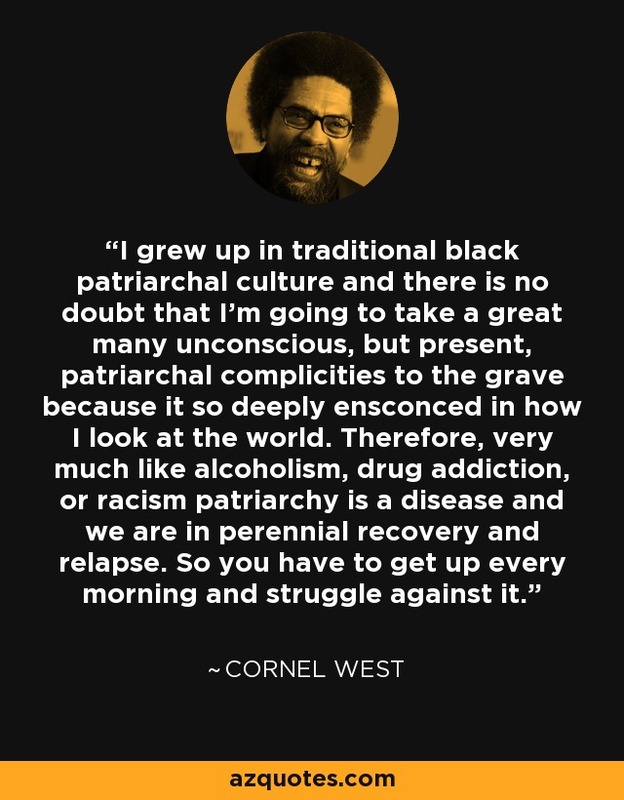 I grew up in traditional black patriarchal culture and there is no doubt that I’m going to take a great many unconscious, but present, patriarchal complicities to the grave because it so deeply ensconced in how I look at the world. Therefore, very much like alcoholism, drug addiction, or racism patriarchy is a disease and we are in perennial recovery and relapse. So you have to get up every morning and struggle against it.